Golf Experience Caribbean welcomes Yida International Investment as a sponsor of the Caribbean teams. 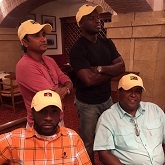 Top golfer, Omarry James is among a team of four Antigua & Barbuda golfers that will travel to England to participate in the 50th annual Cornish Piskey. 26 pairs competed, Omarry James and Otis Thomas emerged as winners of an all-expenses trip. 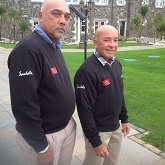 Golfers in St Kitts and Antigua are gearing up to join the Trinidad & Tobago pair of Haydn Imam and Monty Chapman. Qualifiers will tee off at the Millennium Lakes Golf & Country Club, Trinidad on Saturday, August 22. Listen out for the dates of the monthly golf nights leading up, register a team of four persons and come have fun with us. Nice recent review of Cedar Valley Golf Course by a guest on TripAdvisor. 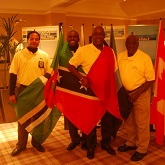 The Caribbean's representatives to the 2013 International Pairs World Finals have departed the Caribbean to prepare for the event. Team Antigua and Barbuda slip to 17th place in the International Pairs World Finals on day two. National golf team ties 10th with England 2 on 31 points on day one of the International Pairs World Finals, in Loch Lomond, Scotland. Sir Vivian Richards and Errol Samuel will Represent Antigua and Barbuda at The International Pairs World Final in Scotland. Four teams lead at the end of a hard fought day one of the INET International Pairs Caribbean Tournament at the Cedar Valley Golf Course. APUA INET wishes all the competitors good luck and share sentiments with fellow corporate partners ECAB – the official bank and Colombian Emeralds International. 45 pairs from Anguilla, St. Kitts, St. Lucia, Trinidad and Tobago as well as host country, Antigua and Barbuda tee off at the Cedar Valley Golf Course from September 7, and 8, 2012. 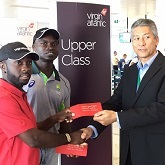 Regional golfers will be flying to Antigua to compete against Antiguan and Barbudan golfers at the INET International Pairs Caribbean Open, which will be held at the Cedar Valley Golf Course from September 7th and 8th, 2012. Antigua and Barbuda’s only living legend Sir Vivian Richards will be honoured with a week of activities to mark his 60th birthday, which will be on March 07. The Spinach Café is open to all, serving breakfast and lunch daily, from 8:00 am through to 7:00 pm. The Café offers guests to eat in or take away, choosing from a delicious menu including all day breakfasts, toasted Panini’s, crispy salads, succulent burgers and daily lunch specials. 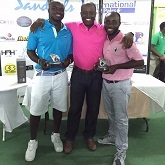 Stewart Gordon and Marcus Franker have won the 2010 INET International Pairs Antigua and Barbuda Golf Tournament. They and 31 other pairs teed off and played in very challenging circumstances – the heavy down pours failed to dampen the golfers’ spirits as they played all 18 holes. Winning Golfers participating in the 2nd INET International Pairs Antigua and Barbuda will be in for an extra special treat with the announcement that Johnnie Walker is the latest prestigious brand to partner with Golf Experience Caribbean. Fans will have an opportunity to watch live action of the 2010 INET International Pairs to be held on September 11 at the Cedar Valley Golf Course. Former West Indies cricketer and cricket commentator Jeffrey Dujon will join golf–pro and former cricketer, Franklyn Stephenson as the guest golfers at this year’s INET International Pairs Antigua and Barbuda to be held on September 11 at the Cedar Valley Golf Course. The success of the 2009 INET International Pairs Golf Tournament has attracted several local businesses to partner with Golf Experience Caribbean (GEC) to make this year’s event even bigger. 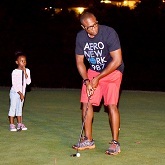 INET, the only DSL Internet Service Provider on the island will once again partner with Golf Experience Caribbean (the regional franchise holders for International Pairs), as the Title Sponsor of the this year’s INET International Pairs Golf Tournament to be held at the Cedar Valley Golf Course on Saturday, September 11.